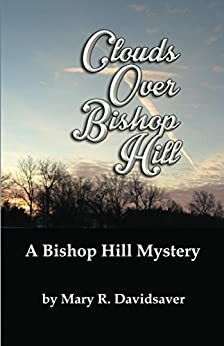 Thank you to Mary Davidsaver for this guest blog post about how she’s approached marketing her first book, Clouds Over Bishop Hill. My book came out last summer and I had the opportunity to schedule its launch over the two days of Bishop Hill’s Ag Days weekend. I was the fortunate beneficiary of all the publicity that came with a major event weekend for a town that’s been promoting itself as a tourist destination for decades. It has suffered through a downturn in visitation, but it still was a great boost for me. Having my book available in Bishop Hill shops was always in the marketing plan, and I have my book placed in two. I was also fortunate in that I had another well-publicized book release at the Midwest Writing Center in Davenport, [Iowa,] before its move to Rock Island[, Illinois]. Those events and sales through Amazon pretty much took me through the end of 2016 in pretty good shape for sales numbers. Marketing is necessary, but it’s definitely out of my comfort zone. I have to be in it for the long game, and it’s an ongoing effort to stay focused. But the New Year has begun and this is where the heavy lifting of my marketing plan begins. My marketing plan began as a one-page proposal I drafted for my 2015 pitch to MWC Press. It was basically a brainstorming session of everything I’d learned from having my own craft-based business, from marketing workshops I’d attended through the Midwest Writing Center, and a lot of “Why not try this?” ideas. Out of the 17 items I had on my original list, I can check off ten as used in one way or another. 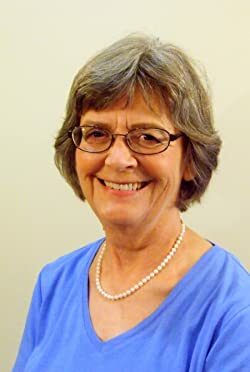 I have: made personal appearances, published press releases, networked with the QC Convention & Visitors Bureau, consigned books in Bishop Hill shops, created a Facebook author page, created a Goodreads author page, created a Kindle book, updated my mailing list, entered contests, and followed what other authors have done. Can I do more with these? Yes, of course. I’ve had the best results with press coverage with my old hometown newspaper. I haven’t paid for any advertising yet. My major expenses so far have been for travel, my Davenport release, and giving away books for review and goodwill. The surprise income has been from a couple of panels I’ve been on. It was nice to get paid and the exposure to public speaking was very beneficial. I think the timing of the panels was perfect for my interview for Scribble on WVIK. I had intended to send out a query for that radio show, but a sudden cancellation and a friendly referral came through for me. I was prepared and able to help Don Wooten and Roald Tweet make it a good show. I’m following one piece of advice about not overextending my personal resources. I’m focusing my social media use with the Facebook author page first—Goodreads, second. Those will be ongoing projects that entail growing visitation by using contests. And speaking of contests, one of my New Year’s resolutions has been to make an effort to enter as many writing contests as I can find that seem appropriate for me. The costs will be spread out over monthly budgets. The Total Funds for Writers website, the paid version of Funds for Writers, has been a major asset. I feel that I’m still in the early stages of implementing my marketing plan. I need to work with what I have and be on the lookout for anything new that might help me. Next year at this time I’ll have a better sense of what worked for me and what didn’t. Right now I have to be open to all opportunities. My best advice about marketing is to be open to anything that will promote your book and you as an author. Look for local resources and workshops. Remain flexible. New things and ideas will open up. Try to push yourself outside the usual comfort zone. Clouds Over Bishop Hill was published by MWC Press, an imprint of the Midwest Writing Center, in August, 2016. It is my first book. Brief synopsis: A reckless driver sends recent college grad, Shelley Anderson, off the road and into the mysterious past of folk artist Olof Krans. Drafted into searching for Krans’s last portrait, her only clues are an old woman’s dreams and an uncle’s guilty conscience. How dangerous will it be to find a lost treasure? I’ve kept my website simple, only one page, for now. I found Weebly.com easy to use and I haven’t begun paying for any extras yet. I haven’t begun paying for anything extra here either. I imagine that will change soon. I’ve used my blog as a tool for writing about the progress of the novel and for helping out other writers when I can. Mary Davidsaver is a retired jewelry designer who has written for local newspapers since 2007. She is a member of the Midwest Writing Center who has won two Iron Pen first place awards. In 2013, she was the first local writer to win the Great River Writer’s Retreat Contest. She has published her first novel with MWC Press. 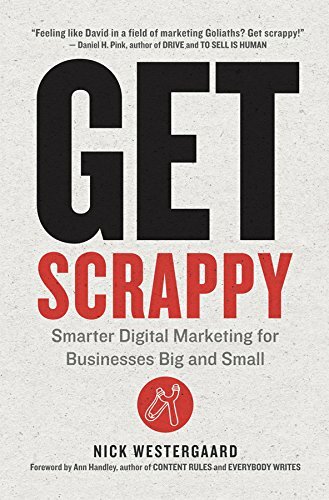 Trouble with Book Marketing? You may be standing in your own way. To learn a specific technique for releasing your limiting beliefs around book marketing, check out my YouTube video here.